The picturesque coastal town of Lymington boasts fabulous views, several marinas and of course beautiful homes. Our local team at Just shutters are experts in Lymington Plantation Shutters and understand that your home is your castle. Whether your home is a sprawling country home, or a cosy mews cottage in the town centre, we can provide the perfect interior shutters for you. Furthermore, we ensure that all our shutters are bespoke made to measure products, ensuring you get the perfect fit for any shaped windows in your home. As a result, our experts can ensure your interiors are truly unique – all whilst colour matching your current décor. Additionally, all our shutters come with a lifetime guarantee! For more information or a free home visit, in which he can show you all you need to see, to get a real sense of how our shutters will work in your home, get in touch. Call 01202 240769 request a brochure or get an online shutter quote estimate now. High customer satisfaction is a core value at Just Shutters. The team will always endeavour to deliver the highest level of customer service. Therefore, we are exceedingly proud of the plentiful positive feedback we frequently receive from our customers. Furthermore, we have been awarded an incredible 9.9/10 rating on Checkatrade. This rating comes as a result of over 1750 independent reviews! 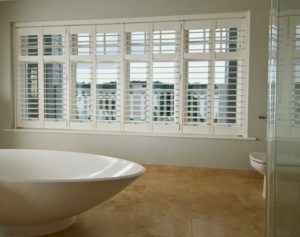 Below are some of these reviews our local Lymington Plantation Shutters receive.